MELBOURNE, Australia — Angelique Kerber of Germany upset top-seeded Serena Williams, 6-4, 3-6, 6-4, in the Australian Open women’s final on Saturday. 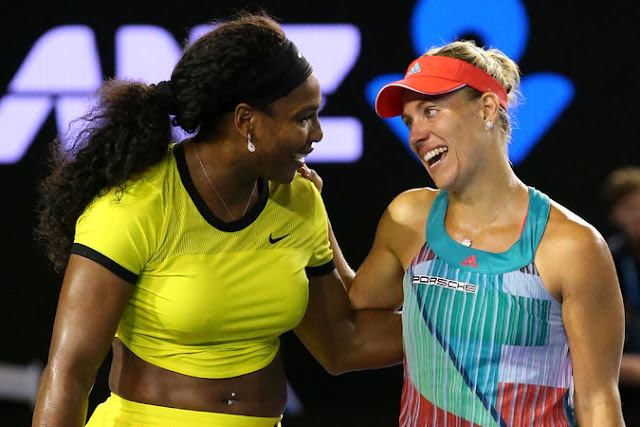 With the victory at Rod Laver Arena, Kerber prevented Williams from moving into a tie with Kerber’s countrywoman Steffi Graf as the Open-era leader in major singles titles with 22. Kerber, a 28-year-old in her fourteenth year as a genius, was showing up in her first significant last. It was the second major in succession in which a first-time Grand Slam finalist won the ladies' single title, with Flavia Pennetta having won at the United States Open in September. Williams, 34, who was looking for her seventh Australian Open title, touched base at the last having lost just 26 amusements in her initial six matches at the current year's competition. She is generally one of the game's best closer, with a record of 21-5 in real finals. Her just earlier misfortunes in Grand Slam singles finals were to her sister Venus at the United States Open in 2001 and Wimbledon in 2008, to Maria Sharapova at Wimbledon in 2004, and to Samantha Stosur at the United States Open in 2011. Every one of those annihilation were in straight sets. “She taught me actually that I’m on a good way and try to believe in myself,” said Kerber, who went out Saturday against Williams and turned everyone into believers.